"Improving the quality of Pet's lives, one pet owner at a time." 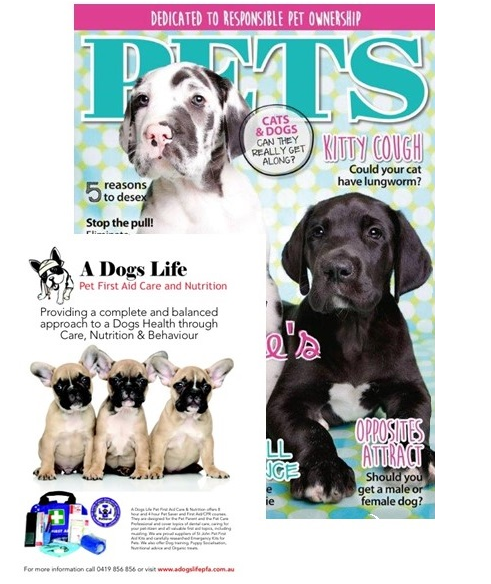 ﻿﻿A Dogs Life Pet First Aid Care and Nutrition provides group and private CPR and First Aid courses developed by Pet Tech™ International. These courses are internationally recognised and are taught by lecture and hands on skills practice. Other services include, Puppy Socialisation, Nutritional Advice, Pet First Aid Kits and Supplies & Natural Behaviour Solutions.